Or it’s a good way to mitigate risk – that is, minimizing the impact of not-so-good assets in your portfolio so that overall and over the long haul you come out ahead. Let’s look then at how to diversify your portfolio with real estate investing in Colorado. If you’re a more experienced investor wondering how to diversify your portfolio with real estate investing in Colorado, you might consider multifamily properties like apartments. The benefits of diversifying with multifamily properties, also known as multi-dwelling units (MDUs), are significant and include greater cash flow, risk reduction, and scalability. Investing in real estate can definitely be a solid investment strategy, especially if you learn how to diversify your portfolio with real estate investing in Colorado. Just keep in mind your current situation and expertise level in your diversification efforts. 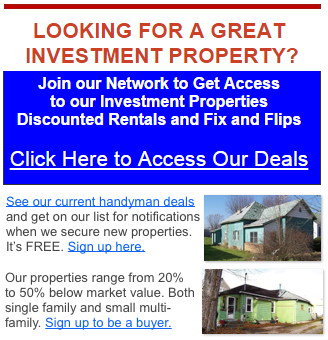 And we would welcome the opportunity to help you achieve your real estate investing goals. IF YOU’D LIKE TO DISCOVER MORE, SIMPLY GIVE US A CALL AT (720) 466-7716 OR FILL OUT OUR ONLINE FORM.